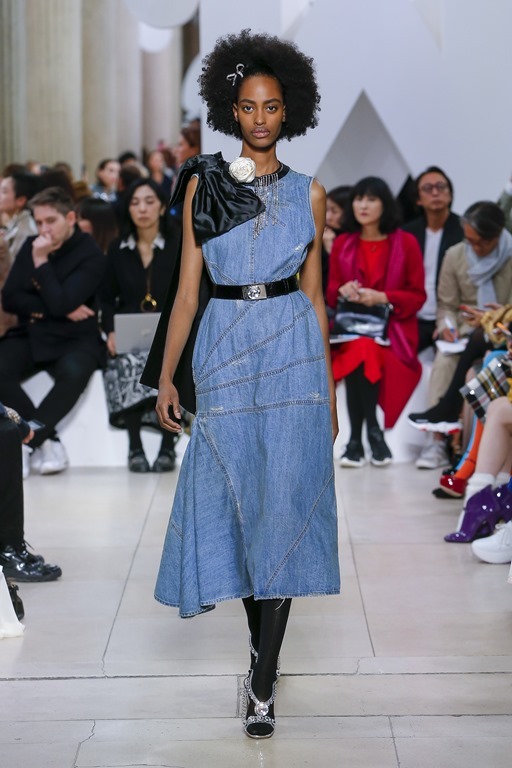 Karl Lagerfeld’s SS 19 Ready To Wear collection showcased the outfits with waves and fresh ambiance around the beach. 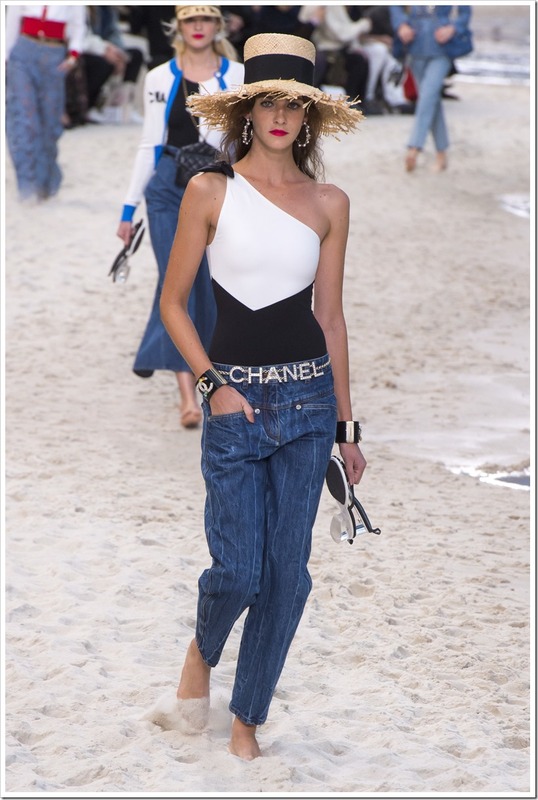 Chanel’s global collection was not only amazing but that too with a mini vacation break for the audience. 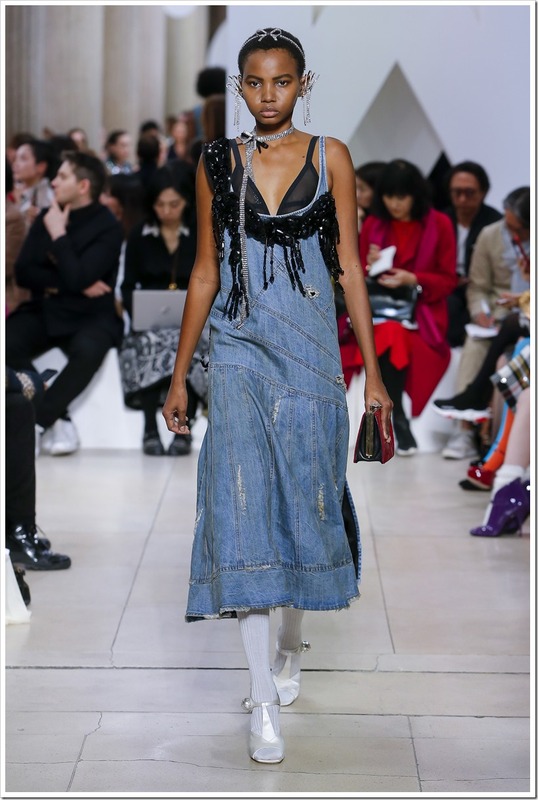 There were over sized straw hats, vacation-ready swimsuits, and Chanel logos in the form of belts, bathing suits, and cardigans with chained bags , bamboo hats and the accessories to go with the beach view, the collection also included certain wide bottom jeans and wavy patterned denims. 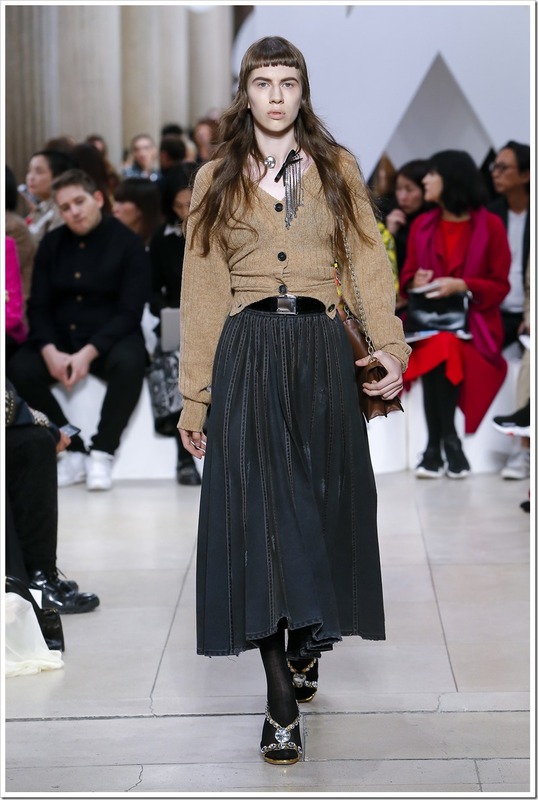 The models carried their shoes alongside the beach with a je ne sais quoi – the effortless way of French girls to look chic !. The Runway was turned into a beach with the sea and Lifegaurds on duty. 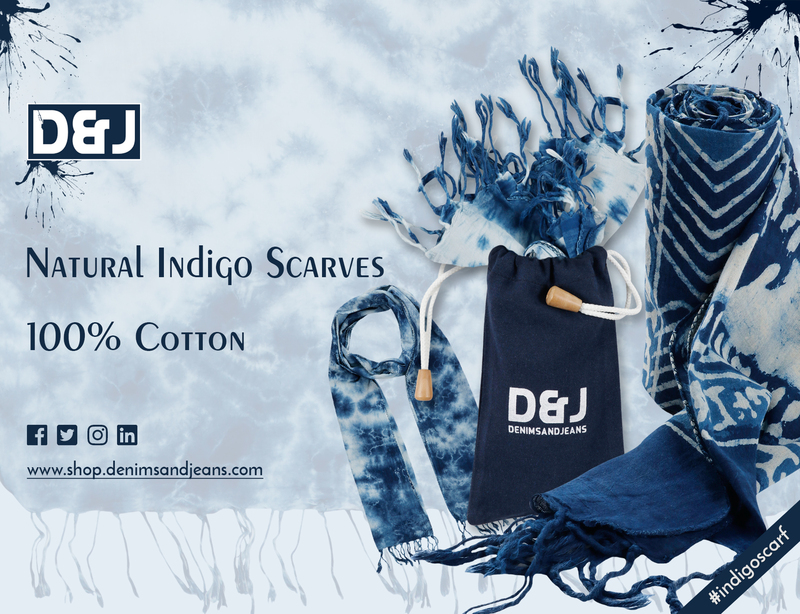 Indigo colored emboridered see through jacket added to the glamour quotient. Miu Miu is an Italian high fashion women’s clothing and accessory brand and a fully owned subsidiary of Prada. 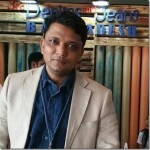 It is headed by Miuccia Prada and headquartered in Milan, Italy. 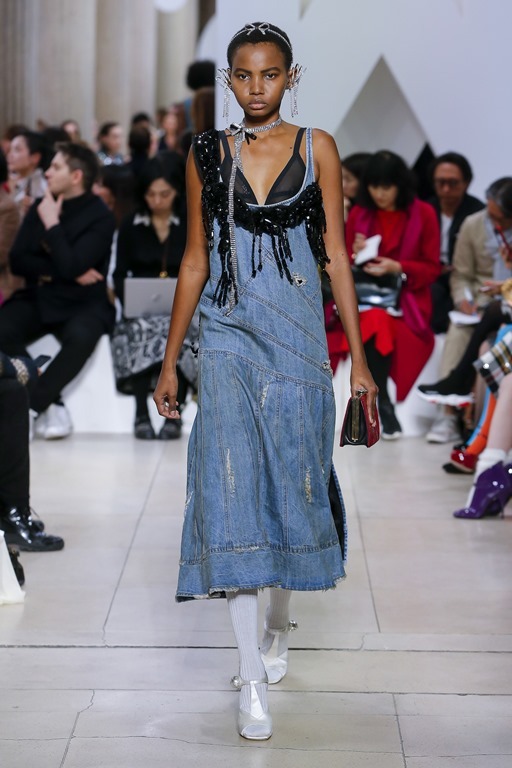 The Wonky couture collection by Miuccia Prada’s Miu Miu showcased a sweet spot via its SS 19 Collection.There were a lot of midi length dirty denim skirts and dresses. 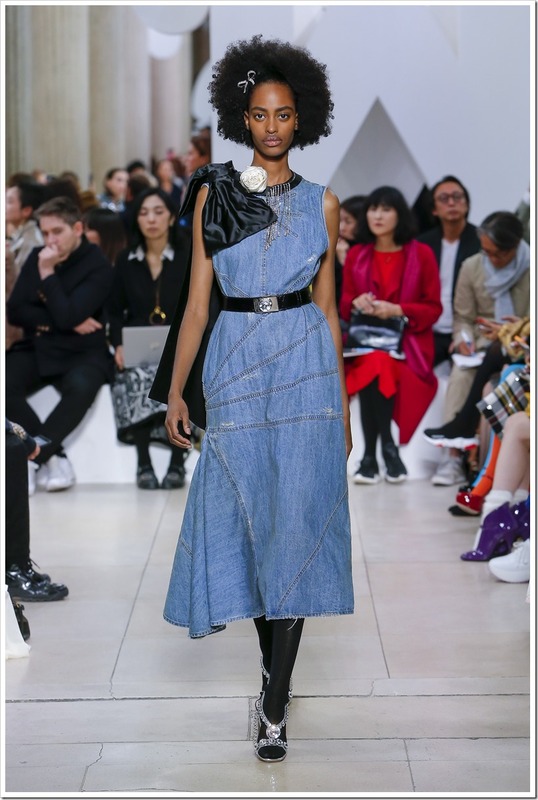 The denim dresses with curvy body designs and long deep necks with collared dresses inspired a wide range of denim designs. An unexpected straight-up well cut, non-ironical gray blazers and skirt suits in matching leather were the part of the attire collection. The street way hoodies style had made its way out and a welcoming mad-style is finding its way back in. 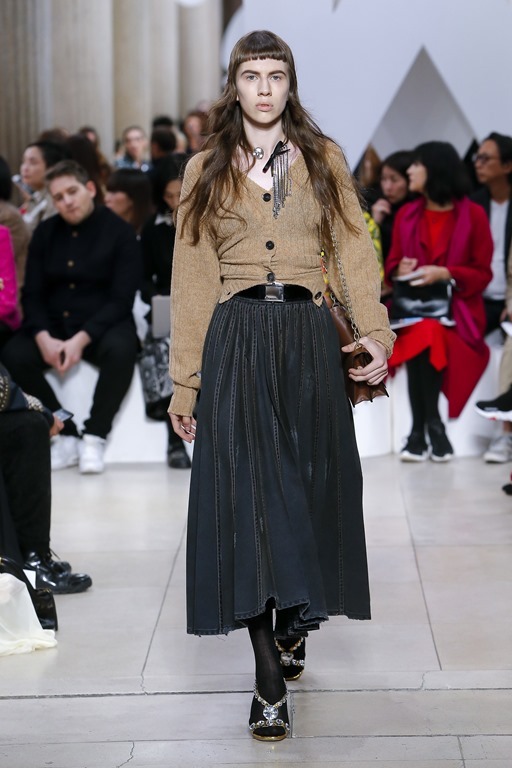 Miuccia Prada gets inspired by ’50s and ’60s subtle punk and perfect lengths for the Miu Miu girl. Muccia considers the fall of each garment and selecting the fabrics which move with the seam. The detailed seams are the basic strength of this collection.